Have some extra time on your holiday? Want to make an impact in the local communities? 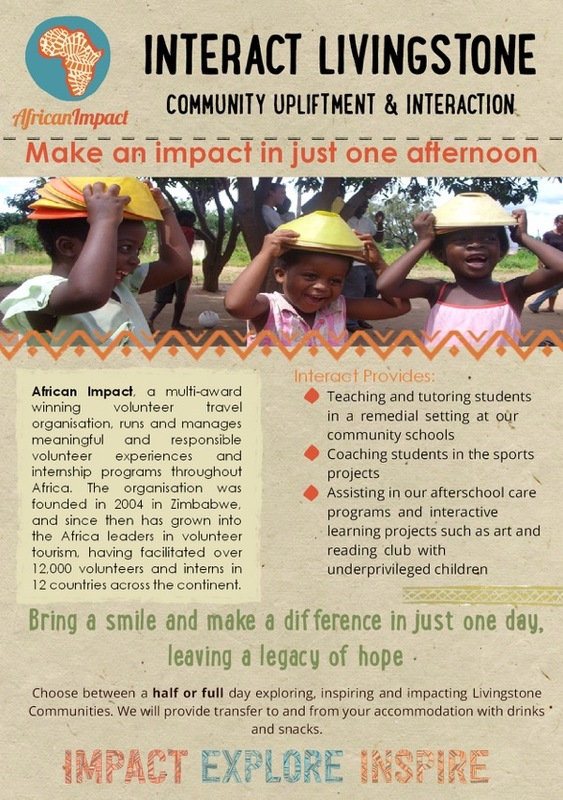 Join our one of a kind Interact program and volunteer with the world leading volunteer program, African Impact. By spending time volunteering with us, you have the opportunity to positively contribute to the community you are traveling to. Additionally, Interact fees directly support the African Impact Foundation projects which contribute to the sustainability and long-term impact in the specific community. Choose from one of the locations below and the length of time you wish to volunteer with the project (half-day, full day or even multiple days are an option!). Please submit an inquiry below for further information. the culture, the communities, the projects, the experiences of other volunteers and of course, go and explore! the children, the local communities, fellow volunteers, and most importantly let these amazing people inspire you! what impact will the projects have on you? How can you make an impact whilst being here?